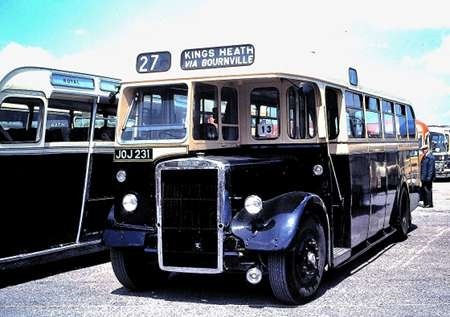 JOJ 231 is something of a rarity for the Birmingham fleet – a single decker! It is a Leyland Tiger PS2/1 with Weymann B34F body, new in 1950. 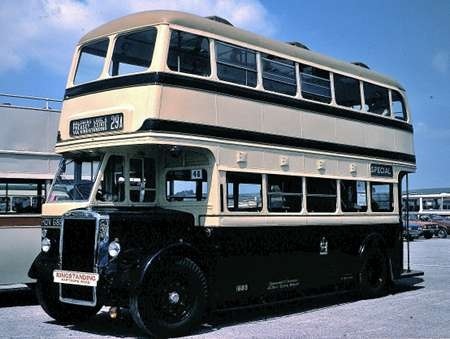 We see it in the Weymouth rally on 1 July 1979 – where the combination of Kodachrome II film and lighting combine to give the appearance of the Royal Blue coach alongside having the same shade of blue. Is it really the same, or does it just look that way? The second view shows the Municipal Crest, and was captured on film in the Southsea rally a few years later. Pete, what a wonderful Municipal Crest. 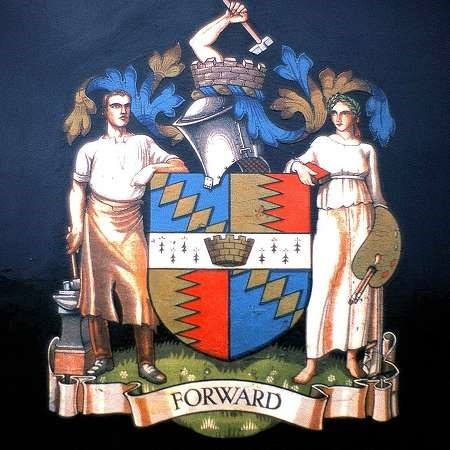 We are used to seeing heraldic shields and the like on municipal buses, but the figures on the Birmingham one make the Crest even more special. The way the artist has painted not just a sheen, but also creases into the clothing on the original design is nothing short of amazing. Thank you for posting. The two figures on the crest represent Industry and Art and were posed by Art students of the time. I’m sure you buffs already know that the No. 27 ran from West Heath to Kings Heath.The reason for the single decker was to travel beneath the railway bridge in Bournville Lane, just by Cadbury’s works. Thanks, David. 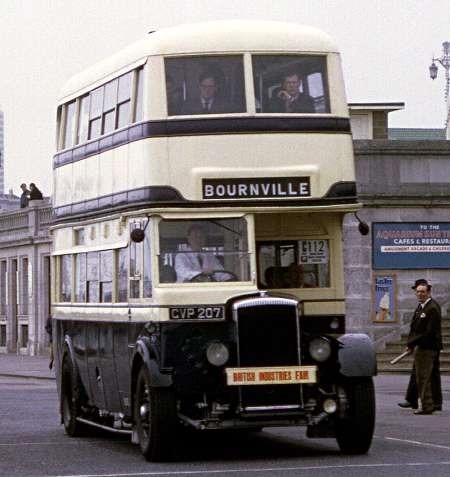 My student days were in the Saltley area of Birmingham, but I did get down to the Bournville area occasionally, and I saw the Tigers there.